Working out is an essential part of everyone’s life; especially in the life of a bodybuilder and a powerlifter. While, keeping track of your diet, working out a routine, and always keeping up with your routine, takes a lot of determination, still powerlifting accessories contribute big time to the routine. The right powerlifting accessories can drastically alter and change your daily workouts; they can make them feel much easier and support you as you lift heavy weights. You should always carry knee supports, wrist wraps, weightlifting shoes, weightlifting belts, and lifting straps. There are plenty workouts that mainly depend on both of your knees, such as squats for instance. Having a healthy body comes with working out on a daily basis; however, you don’t want to wear them out either. Sure your knees are healthy, but wearing knee supports will help support your knees while lifting weights and protect against any potential injuries. There are a variety of knee supports, knee wraps and knee sleeves. Knee wraps help you lift weights, while knee sleeves save you from any kind of future damaging to your knee. Wrist wraps are one of the most important powerlifting accessories; wrist wraps provide a great aid to every powerlifter. Wrist wrappers provide support, stability, and help with lifting heavier weights. The tricky thing about wearing the wrist wrap is that powerlifters either tie it too low or too high, which can cause damage. You need to make sure to cover the whole area. Many people underestimate the importance of wearing the appropriate gym shoes, let alone wearing the right weightlifting shoes. Mistaking weightlifting shoes for normal gym shoes or running shoes is a classic mistake. Lifting weights takes a toll on your feet, so buying weightlifting shoes is an essential. Weightlifting shoes are usually flatter than the angled running shoes. Weightlifting belts have positive effects on your body as you lift weights; they take off the weight from your lower back while squatting and they it help you keep the perfect form during your workout routine. If you are looking for powerlifting belts you can browse here to buy one. Lifting straps is another powerlifting accessory that can help you lift heavier weights. They provide your grip with great strength that saves both your grip muscles and back muscles. Lifting weights with lifting straps will remove the need to recruit secondary-muscles. 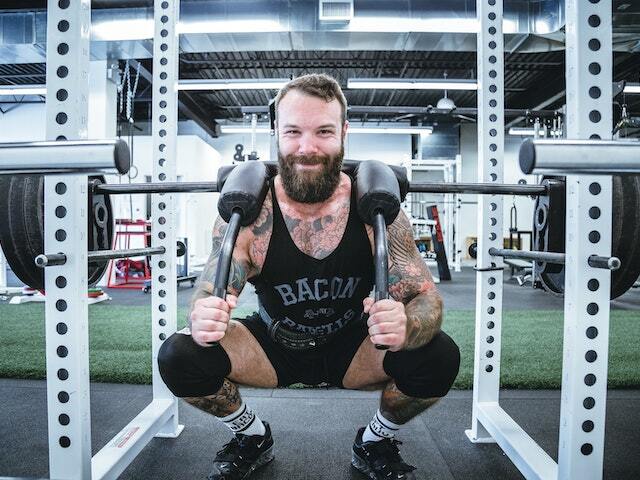 Keeping up with your working out routine is absolutely important and healthy; however, it can go sideways if you are not doing it right, or if you are missing the right powerlifting accessories. There are many powerlifting accessories that will make a great change in your working out routine. Make sure to buy knee support, wrist wraps, weightlifting shoes, weightlifting belts, and lifting straps before you go to the gym next time.